Gastric Sleeve: How's it Work? Cost, Risks, Recovery, etc. 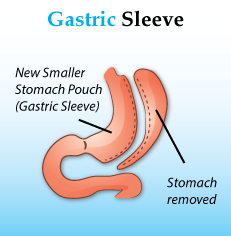 Gastric sleeve surgery, also known as sleeve gastrectomy, is a form of bariatric surgery. During the procedure, a large portion of the stomach is removed and what remains resembles a sleeve or tube. The smaller stomach holds a much smaller portion of food than the pre-surgery stomach, limiting the amount of food that can be consumed. As a result, it is known as a restrictive form of weight loss surgery. Usually weight loss procedures are recommended for people who are at least 80 to 100 pounds overweight, with a body mass index (BMI) of 40 or higher. Some people with a BMI of at least 35 may be a candidate for gastric sleeve surgery if their excess weight has contributed to obesity-related conditions such as diabetes or high blood pressure. Gastric sleeve is a surgical procedure requiring general anesthesia and usually taking about two hours to perform. Most patients spend a night or two in the hospital recovering, although in some cases it can be performed as an outpatient procedure, and the patient returns home the same day. It is performed as a laparoscopic procedure, meaning that the surgeon uses a camera with small surgical instruments. This requires several short incisions, only about an inch long, rather than one long abdominal incision. Once the incisions are made, the surgeon uses the specialized surgical tools to remove a portion of the stomach, leaving behind a narrower tube measuring about eight inches long. The incision in the stomach is then closed with staples to seal the tube. All surgery comes with risks, including negative reactions to anesthesia, bleeding, and infection. One potential complication is leaking of the stomach sleeve. Because the stomach must be stapled to create the sleeve, there is the chance that the staples won’t hold. As the stomach acids leak into the surrounding tissues, it could cause infection or other serious complications requiring placement of a drainage tube or surgery. Following surgery, most patients stay in the hospital for one to two days before returning home to heal. During this time, the abdomen will be swollen and sore. Your surgeon may prescribe pain medication. After surgery, patients follow two weeks of a liquid-only diet and two weeks of pureed and soft foods before transitioning to solid foods. Most patients are able to return to work within two to three weeks, although heavy lifting and strenuous exercise must be avoided for six to eight weeks. 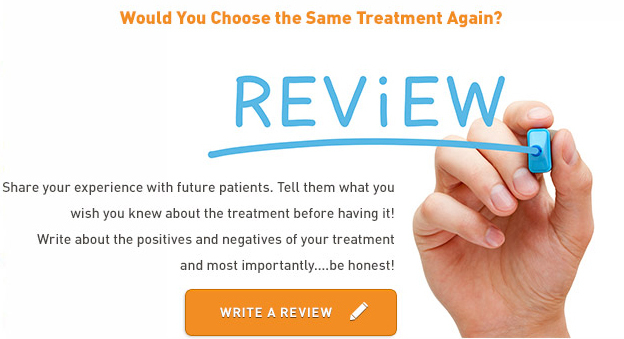 DID YOU HAVE GASTRIC SLEEVE SURGERY? Many patients undergo gastric bypass surgery or other form of weight loss surgery after gastric sleeve surgery. This staged approach to weight loss surgery may be recommended for those who are morbidly obese as a way to make the second procedure less risky than if performed as the first surgery. Most patients who undergo gastric sleeve surgery lose about half of their excess body weight in the first year following surgery. The cost of gastric sleeve surgery is usually around $10,000 to $25,000. While the procedure is relatively new when compared to other forms of weight loss surgery, many insurers are starting to cover its costs. In general, insurance is more willing to cover the cost of bariatric surgery when the patient’s excess weight has contributed to health conditions such as diabetes or high blood pressure. Some insurance carriers will cover the full costs of surgery, while others will only cover part. Check with your insurance company before undergoing surgery so that you know which costs, if any, you will be responsible for. Many surgeons offer flexible payment plans and financing options for those who are paying all or part of the cost of gastric sleeve surgery.